Research published today by Pinergy, the smart energy provider, reveals how businesses are placing increased focus when it comes to monitoring their energy consumption and adjusting their usage to meet their budgets. While results from the latest Pinergy Business Energy Monitor indicate that 51% of businesses are not monitoring and adjusting their energy consumption, this represents a marginal decrease of 6% since the last survey was conducted six months ago. These findings are published following a year in which Irish electricity prices have increased in 2018. 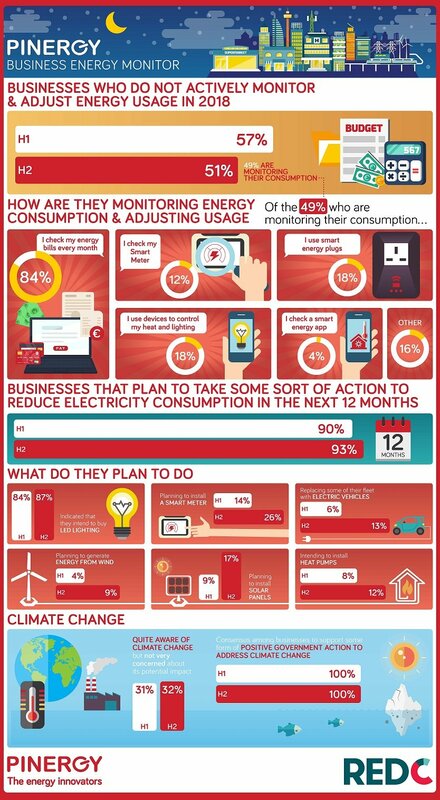 Of the 49% who are monitoring their energy consumption, over four in five businesses cited that they check their bills every month as the most common monitoring method for energy consumption.This method is significantly higher than other potential means including the use of heating and lighting control devices (18%), smart energy plugs (18%) and smart meters (12%).With energy expenditure set to increase further over the coming months, Pinergy is calling on businesses to maintain this focus and to take the opportunity to more effectively manage their energy costs in 2019. 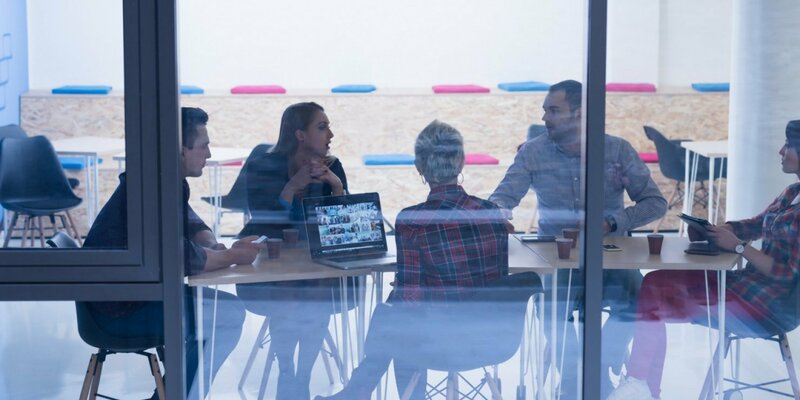 The research indicates that just over nine in ten (93%) businesses have good intentions to change their behaviour and reduce energy costs within the next 12 months.This represents a slight increase of 3% on the research figures compiled earlier in 2018. Based on the research, 87% of respondents indicated that they intend to install LED lighting, with 68% stating that they are planning to actively monitor and reduce energy usage.In terms of other activities to be considered to support businesses around their energy management needs, 26% indicated an intention to install a smart meter within the next 12 months, an increase of 12% compared to previous research conducted six months ago. The ‘Pinergy Smart Business’ system was launched in 2018 to bring a whole new approach to how business owners in particular can gain greater control over how they manage their energy usage and costs.With Pinergy Smart Business, businesses can have 24/7 access to a leading edge smart energy management platform that allows them to monitor, manage and control usage, compare their managed sites across the business and gather accurate and regular data insights on their energy consumption every 30 minutes.Equipped with this information, businesses can then make decisions in real time that help to improve energy efficiency and overall budget management. Among its customers now using the new Pinergy Smart Business solution are leading businesses in the retail, manufacturing, hospitality, leisure, property and agri sectors. The Pinergy Smart Business system provides businesses with a tool to empower them to play their part every single day in building a sustainable energy future by being more energy efficient.